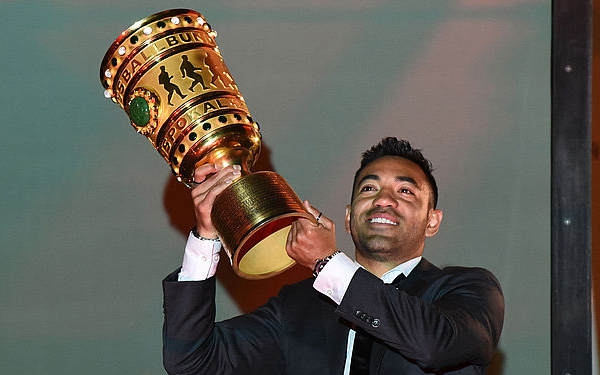 The Philadelphia Union, which has frustrated fans with its unwillingness to spend big players, completed its biggest signing ever when it acquired 29-year-old Mexican midfielder Marco Fabian from Eintracht Frankfurt. Fabian didn't cost the Union a transfer fee -- Eintracht will get 5 percent of any future transfer fee -- but he will command the highest salary in Union history. Borek Dockal, whose loan deal ended at the end of 2018, was making $1.7 million. Ernst Tanner, brought in as sporting director last summer after Earnie Stewart moved to U.S. Soccer, described the deal as a "win-win." Frankfurt will also get off its payroll a player who has not played since September. Fabian was a huge star in Mexico with Chivas before moving to Germany in 2016. He had seven goals in 24 Bundesliga games in 2016-17 but play played only seven games in 2017-18 and once this season. Issues with Fabian's lumbar vertebra limited his playing time at Eintracht but he did return to the World Cup with Mexico for the second time in 2018. The Union's Tanner said Fabian is fit. The Union is changing up its tactical alignment for 2019, but Fabian will play an attacking role similar to that of Dockal, who won the 2018 MLS assist title with 18. Fabian is the fourth member of Mexico's 2018 World Cup team under contract with with an MLS team for 2019. Giovani and Jonathan dos Santos are with the LA Galaxy and Carlos Vela is at LAFC. 1 comment about "Fabian signing: Philadelphia Union gets its 'missing piece'". Bob Ashpole, February 9, 2019 at 11:31 p.m. I am optimistic about the quality of play that next season will bring.